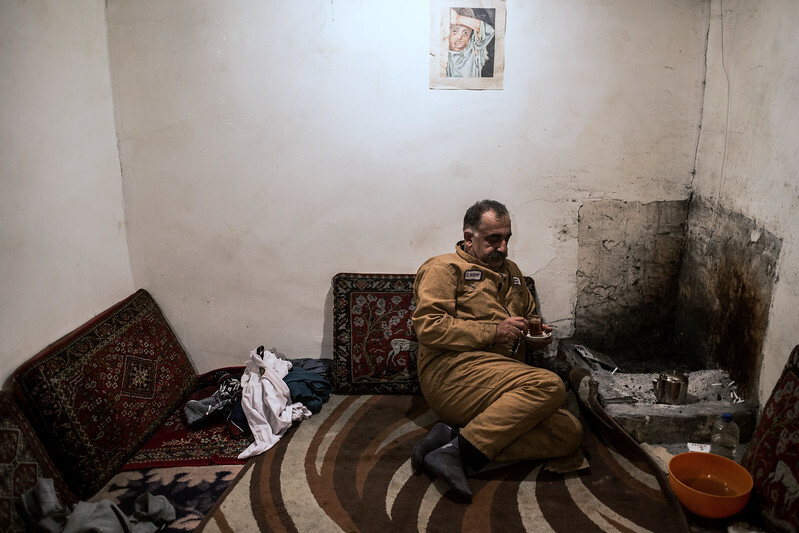 Alì, an inhabitant of Behbahani neighbourhood driniking tea inside a small room out of his home where he prepares Kebabs to sell and where sometimes relaxes during hot days. In last years Ali has been supervising a folklore band of Afro-Iranian and Bushehrians youngers. Bushehr-Iran.